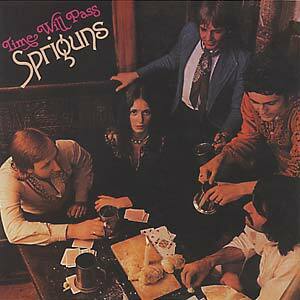 First readily available reissues of these Spriguns' albums from the mid-70s, offiically licensed from Decca UK. Classic British folk rock output, for fans of Steeleye Span/Maddy Prior, Sandy Denny, Annie Briggs, etc. "Originally issued on Decca 1977. Only available on CD in Japan prior to this release." "It's a pity that Time Will Pass marked the end of Sprigun's major label days -- punk and new wave were culling all but the most profitable folk and prog bands from most label rosters by this time -- for it stands up against the other Brit-Folk of its time from far better known bands including Steeleye, Fairport, Pentangle, Strawbs and the rest." -- Jaeger.